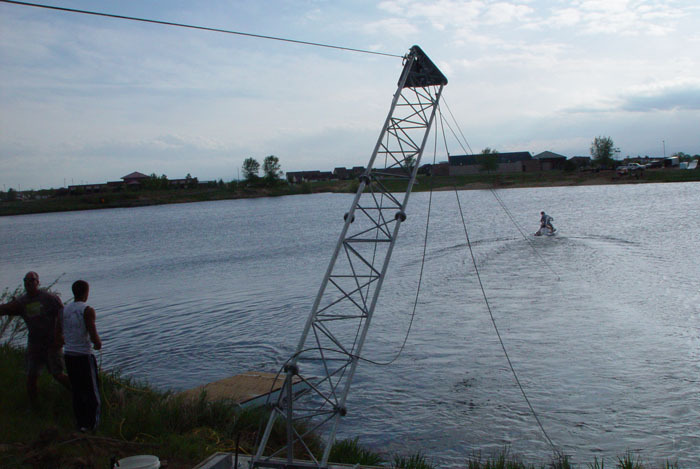 Are you looking for information on building a cable park, cable park design, or wakeboard cable systems for sale? Whether you are developing a smaller 2-tower park for your own personal use, or have a grand vision for the ultimate destination with every activity and amenity under the sun…or under a roof, we hope to save you time, money, and energy as you follow your passion. There isn’t a lot of free or verifiable information in the cable park industry, so we’ve assembled some basic information here, to help you out. What Can MHW Do For Me & How Much? 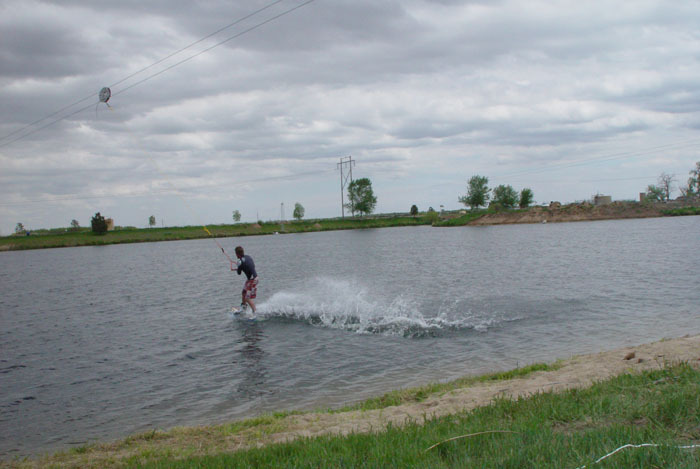 What Are The Cable Park Specific Costs? Please use our contact page for more information. Email is best. This information is free, but lets’ be clear from the start. 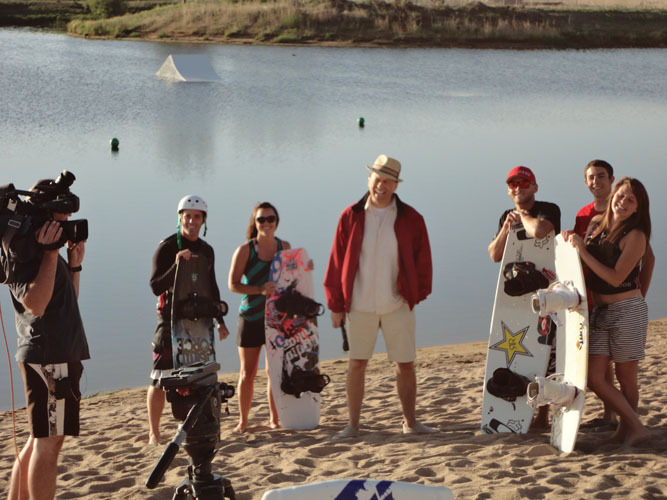 We are not the first or the most experienced in the cable park industry. Like any business, we learned through making our own mistakes, relying on poor advice, breaking things (breaking a lot of things), talking to other cable park owners, and studying and figuring things out on our own. Our education over the past few years naturally led us to where we are today. 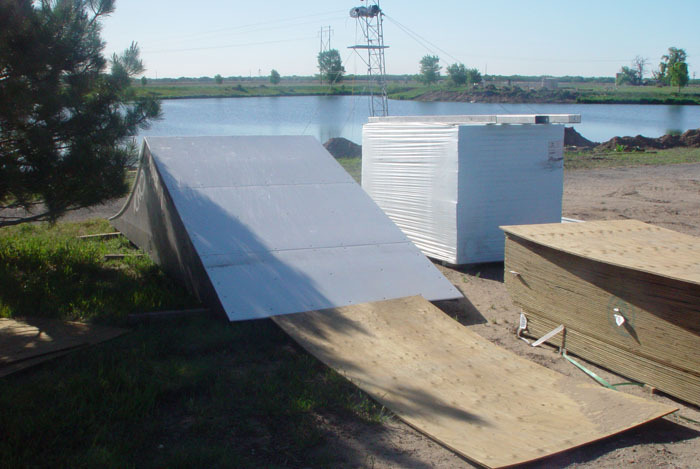 Our primary goal as cable park consultants is to help cable park entrepreneurs and investors avoid some of the common pitfalls most wakeboard parks encounter. Do it once, do it right. Setting aside the 2-tower backyard scenario and thinking more about commercial applications for a moment, here are some basic topics to think about as you start off on your adventure. You’ve heard this before but location is very important. While some die hard riders may be willing to drive up to an hour to go to a cable park, most of your customers will want to stay within about 30 minutes (or less) of home. There are 100’s of studies and variables on this, but in general, the closer you are to the population, the better chance you have of succeeding. Your site should be visible, easily accessible, and convenient for a large segment of the population. If money is no object, buy your property. If you are not sure about a location, and want to “test” it before going all in, or for one reason or another, are not able or allowed to buy, lease it. We’ve done both. In fact, in 2010, MHW was one of, if not the very first cable parks to do a public-private partnership with a government agency. Many others have followed this path and it can save millions in up front land or water expenses. The down side is that you can rarely build a fence around a public park, and this will effect your operations and security. You’ll also have rent payments forever. You’ll balance this equation on a site per site basis. In every state we’ve worked in we’ve heard that “our state has the worst water laws in the nation”. We’ll it’s tough to say which state is the worst, but simply said, the property you acquire needs to have plenty of clean water and the rights to use it to keep your lakes full. No water or bad water equals no cable park / wakeboard park. There are several cable manufacturer options out there and all have their pros and cons. Much like buying anything else, you’ll want to weigh out the up front costs with long-term factors such as maintenance, replacement parts, customer service, and warranties. In many cases, you get what you pay for, so ask around, talk to people that have the system you are looking at, and evaluate carefully. Price is always a concern, but training and customer service after the sale should be your primary concern. Everyone will tout their own system so we encourage you to do your research and sort through the fluff. Talk to those that use the system you are interested in. Chances are you’ll get the real scoop. Worth mentioning: Cable manufacturers want to sell you things, so keep that in mind when reviewing any income/sales numbers they may provide you. With one of the two big manufacturers restructuring a bankruptcy, and the other changing ownership, they are hungry for business. Features are something that your core riders will want to hit (a smaller but important/vocal percentage of your total business) so be smart when planning these and don’t go too big, too soon. The crazy hard, off the wall ideas are only fun for about 1% of your core riders so most of your features need to be fun for the average rider. There is a learning curve, but you can build your own features, or simply order plastic ones that are ready to install. We’ve done both. If you build your own (and care about safety) you will need to inspect your features on a regular basis and there will be more maintenance. If you order pre-made features, they are more expensive but require less maintenance and less daily inspections – it’s up to you. It’s a balance. Worth noting here is what kind of employee you have. 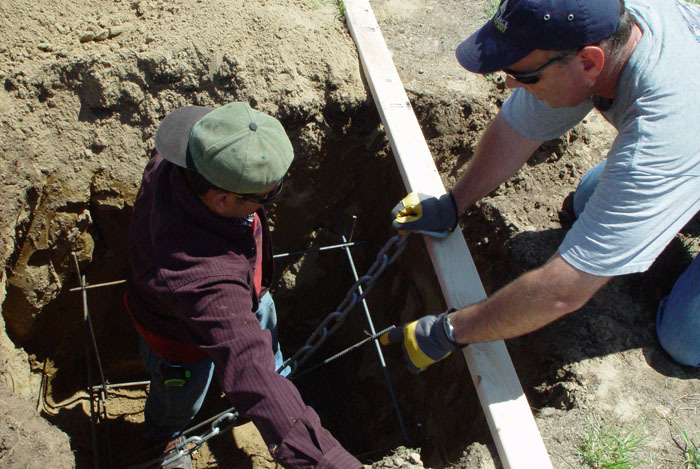 As simple as a daily inspection may sound (it takes 30 or so minutes) some employees could skimp on this important safety procedure, and someone could get hurt. Not everyone wakeboards. Your park should have several “things to do” for anyone and everyone. We have a master list of every idea you’ve ever thought of (and many you haven’t) so you don’t have to be too creative. We know what works, have many tested business models, and can point you in the right direction. There isn’t a perfect solution and these factors will depend on other competitors and attractions in your area. 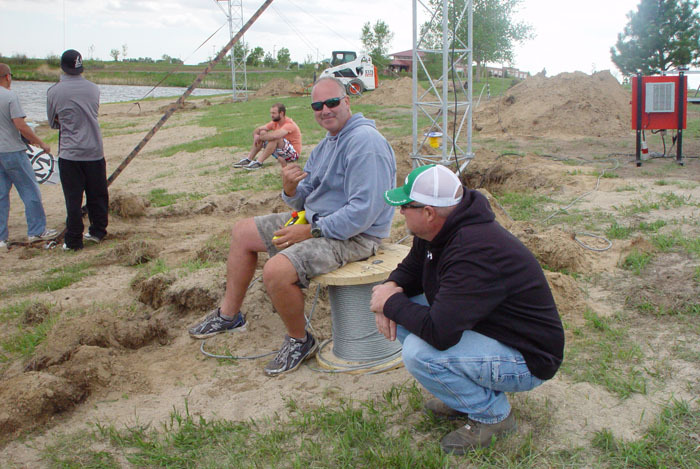 Cable activities are an attraction, but they don’t necessarily have to be the star attraction. 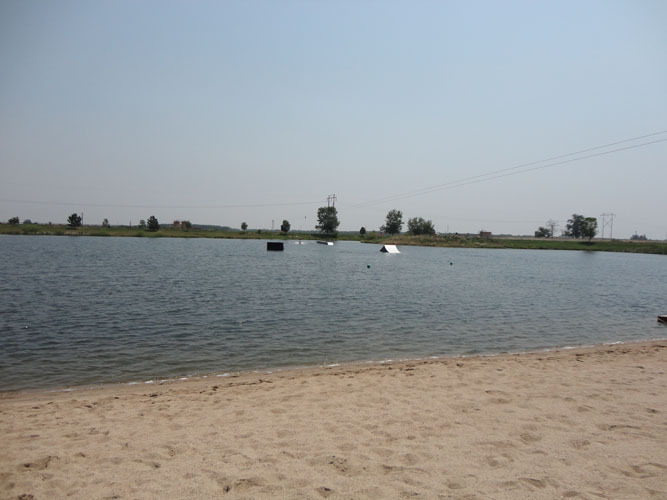 In terms of the cable park itself, a common item that is overlooked is water-breaks or wave attenuation. One of the selling points to riding at a cable park is smooth water. If you don’t have an island or something to break up the “toilet bowl” effect, people will not like your park as much. Rough water is not cool. Another item most often overlooked is shade and spectating. Another common question we are asked is; “How big should the lake be?” This will vary based on your site and geography, but we’ll put some basic information here. We also created a math cheat sheet (with various formulas you will use) that we can utilize to help you plan your site, and calculate costs. 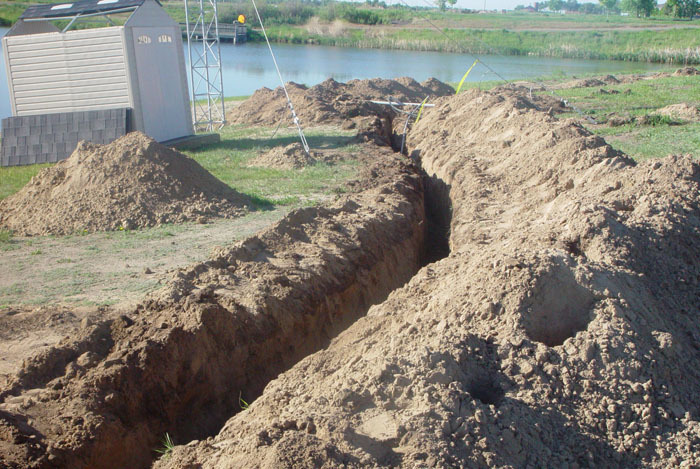 Each 2-Tower Cable uses an area of approximately 100′ wide x up to 700′ long, or just shy of 1.4 surface acres. (30 meters x 183 meters). 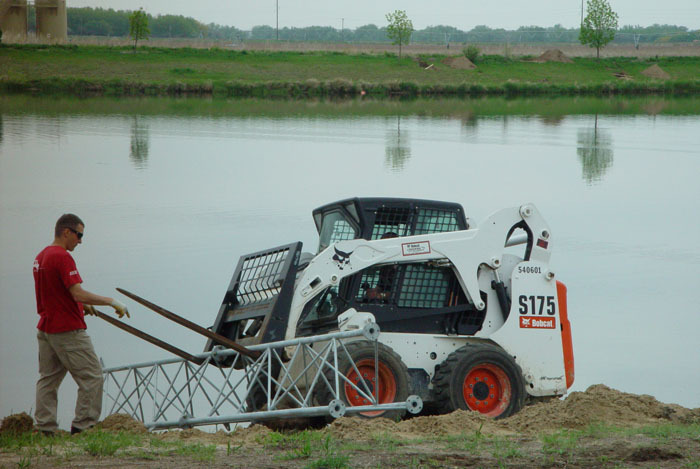 Ideally, we like to have air and learning cables be in the 400′ to 550′ in length, and no closer than 50′ to any shoreline or the maximum reach of another cable footprint. Feature cables can be longer, up to 700′ long, and need a little more space on each side, or approximately a 75′ minimum. While some of the newer cable systems (like one we built) can operate at longer distances, we don’t recommend going longer than 700′ or so. It’s difficult for your operators/drivers to see much further than that, and it can create a looser/sloppy feeling cable, especially on some of the popular systems, and with those that don’t have the “feel” of riding cable quite yet. FSC’s vary in shape and size but we’ve really grown to like six (6) sided cables in the past few years. The turns are easier, making them much more user friendly. A typical footprint for this type of cable can vary radically based on the site, your wishes, and how creative you want to be. (For example some people only care about features, and others want to calculate space after a corner/pulley for air tricks.) A safe estimate is 500′ wide x 1100′ long, or 12.6 surface acres. (152 x 335 meters) but this is only a rough number. When someone comes out with a FSC system that can be longer, with 8 sides, and 2 starting towers, we can talk about larger cable system footprints. Also be sure to check out some of the new cable systems with softer turns, if you are limited to 5 towers in your lake layout. Softer turns = better cables for beginner and intermediate riders. From participant liability, to theft, to vandalism, to acts of nature, you want to be insured properly and prepared to handle whatever might come up. There are obviously things you can do to reduce your risk, losses, and liability, but rest assured, at one point or another, someone will try to rip you off or sue you for something. Expect it, prepare for it, and do everything you can to prevent and protect yourself. It will happen. We have what we would argue, are many of the best tasks, processes, checklists, waivers, and signage in the industry, all created from scratch (prior to day one) and endorsed by our insurance company. And while anyone can sell you on, or talk about waivers, materials, and signage, we feel it is your day to day activities that really matter. It is still shocking to us that we were one of the first cable parks, if not the very first, to require an actual safety orientation for all participants, on their first visit. Not just a “hello, here is your waiver, have fun” but a real explanation of what to expect and how things operate. People will absolutely try to sue you so do your safety checks, don’t be negligent, and do everything in your power to ensure your staff and participants are safe. Simply said, with proper training and procedures, the potential for any injury can be significantly reduced. Each unique location has it’s own start up and operating costs, so we’ll only list a few items here to get your wheels turning. This list is merely an example of what one could expect. We know what you need to be successful and as one of our services, we are happy to help you plan, select and prioritize the needs for your specific site(s) based on your budget and site needs. Here are some common items to expect (cable park only). •Retail Fixtures and Counters, Displays, Etc. There are too many specific topics to list here but a business (operational) plan doesn’t even touch on what the realities are of the day-to-day operations. 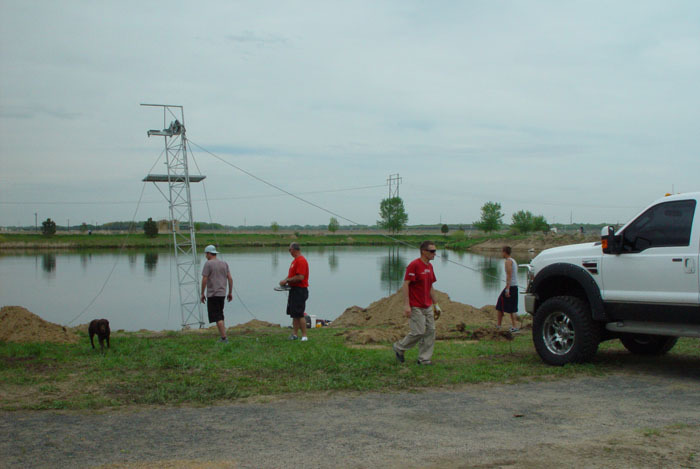 We can help you develop, build, and operate a cable park, and can teach you what to expect. We can also help with daily tasks, checklists, how to’s, and preparedness in every single category from safety to marketing to keeping the books to what to look for in an employee. The most common questions we receive are: How much money will this cost? What’s the ROI? and What kind of income can we expect? Well, most of that information is going to be highly confidential but if nothing else you read or hear sticks in your brain, (from us or anyone else) remember this: Do not trust information coming from anyone that is not a cable park owner, or hasn’t done what you are trying to do. It is also wise to remember that every market is slightly different; what works in Florida may not work in Canada. Today, we know the numbers as good or better than anyone in the industry and can tell you we have seen the numbers forecasted by others for many projects. To say that they are unrealistic would be a wild understatement. Many cable parks have failed, or will fail because they didn’t plan income accordingly, were underfunded, or have inexperienced management. Income is the single most important issue for your long term success so don’t muck it up by being unrealistic or wishful in your planning. Unless grandma, daddy, or other family/friend monies are funding your project and/or you have an unlimited budget, be smart. Get real advice before pushing all your chips forward. Traditional methods of business financing are becoming easier, especially if you have good credit and/or existing company or personal assets. However, you will be limited in what you can borrow. (Even the SBA won’t lend you 5 million+ to do it all.) If you are willing to tie your home or other substantial personal asset(s) to a loan, it’s more doable from a bank’s perspective, but the areas of accessible money will most likely be from angel or other private investments. Without getting into too much detail, money can be one of the biggest hang ups, and the ROI (you should know this term) is good, but longer than some other investments. Investors only care about profit and with 100’s of opportunities available to them, you have to be attractive (and safe) enough to invest in. That said, depending on your location and some other factors we deem important, we may be able to help you raise financing. Unless you have access to unlimited funds, building and operating a cable park is a full time job with zero/low pay for at 1+ years. Until you open and make that first sale, your income with your project is also absolute zero – and could stay minimal for a few years. If you are doing this for a paycheck, you should reconsider and at least have some alternate sources of revenue to live on in the short term. We don’t want to discourage you but the idea that you will be any different from the many other projects we’ve seen and been involved with would be naïve. Not one single owner has ever “retired rich” from the wakeboard industry. It’s easy to get wrapped up in the 100’s of cool ideas or others opinions on what you should do, but don’t get distracted. If you choose to work with us, we can help you prioritize and task what’s really important now and later. 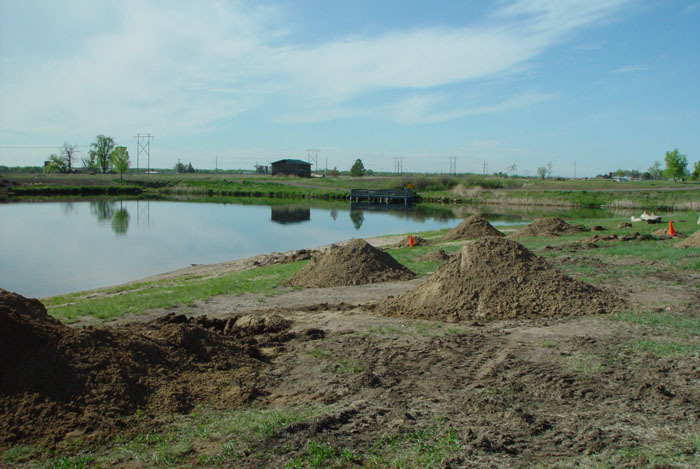 Many parks have failed before they got off the ground because the scope of the project grew too large, or they spent too much time figuring out what wakeboard features they would have, before they even had a location locked down. Disney World is one of the coolest places on the planet but it wasn’t built overnight. After you have done your homework and are ready to move on to the next step, here are some things we do exceptionally well and can help you with. Our prices are not set in stone but should give you an idea of what to expect, depending on our time commitment. You must have a solid presentation to quickly convey your message, and sell your cable park idea to others. This is especially important if you are working with those that have no idea what wakeboarding is and have no interest in learning about it or what you have to offer. We can create or help you create presentations and talking points to capture the attention of decision makers, and help you pitch your project. If there is one thing we excel at, it is getting projects approved, and this is a good place to test our abilities. Presentations cost $250 to $500, depending on the level of detail. Once you’ve seen our presentations and understand the common discussion areas and topics, we can create a template for you to run with. Many parks have failed before they started, because a “wakeboard dreamer”* (hey, we’re wakeboarders too so don’t get in a ruffle just yet) wasn’t properly prepared to pitch a project or stand in front of 10 or 1000 people and articulate their ideas and plans. You may need to pitch your idea to a City, Town, County, or other government bureaucracy at any and all levels, and we can assure you that there are very few things we haven’t heard at least once, and can’t prepare you for. We are very capable of any presentation you may need done, at any level, with anyone, period. And if this is the one -do or die- presentation to make or break your project, you want to make sure you have the right people standing next to you or handling the hard questions. *We are all riders, but your typical wakeboarder or dreamer is certainly not going to convince a land owner, developer, city official, or investor that they are the right person for a project if he or she thinks they are an inexperienced, young punk. (Hint: know your audience and try to remove all reasons for people to prejudge you. Use common sense and dress appropriately, cut your hair, remove all facial hair and visible jewelry, and cover any tattoos. Something as simple as bad breath could kill your presentation.) We hope even having to mention this was annoying to you but we hope you get the point. You can be a wakeboarder but you need to put on a professional hat and demeanor when interacting with decision makers. Financial plans are usually one of the major parts of the business plan and take the most time and research and complete. The financials are also the most interesting to investors (we really love numbers too) so take the time to ensure your information is accurate. We can absolutely assure you that some of the projections we have seen from others border on the insane – so without preaching, do this right so you don’t have any surprises down the road. What exact prices do you have? What do your people do if you are “slammed” and there is a line with upset people? What happens if (when) your cable system breaks and you have downtime? 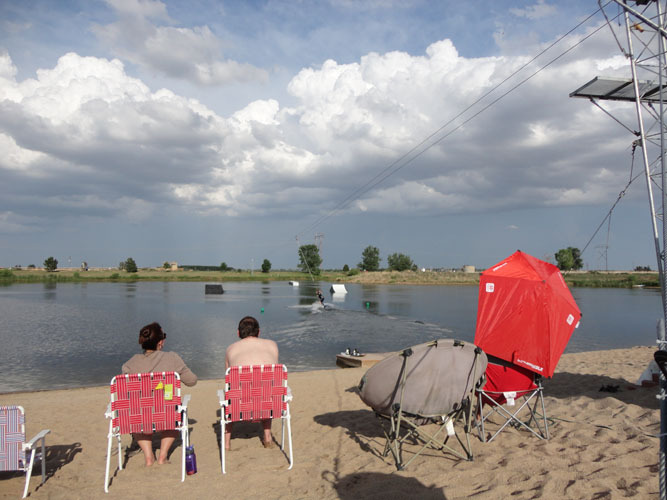 What products, attractions, and amenities will you have outside of the wakeboard cables? Do you understand where your money comes from and who your real customers are? What are the daily procedures and itemized checklists for your staff? How and when does your staff get paid? Video and security for your retail shop and cable park? Insurance? Legal budget when someone stubs their toe and wants to sue you? You are probably starting to get the idea and we’ve only slightly touched on this area. We can save you many man hours on this alone and can virtually guarantee we have some of the best systems, practices, procedures, checklists, and how to’s in the industry. A lack of a plan is a plan to fail. There is no point in recreating the wheel and most, if not all of this information exists in a format you can simply copy and learn from. We can work with you on templates and other options to save costs and time in this area. $500 to $2500 is a safe estimate for a typical business plan. SBA lenders and some cities like to ask for this so unless its asked for, you’ll learn most of this for free, going through the process with us. Marketing is one of our favorite topics and we can really help guide you on the best methods and ROI for your advertising campaigns. We have a list nearly every idea you can or will think of with exact ROI percentages to back it up, but in short, don’t underestimate the power of marketing. Also, depending on the goals and branding for your park, marketing can be slightly different from cable park to cable park. A good marketing plan takes time and collaboration to create a solid plan. Expect $1500 to $2500 for us to help you with this. We will update this component as needed to include more detail, but below are some approximate and realistic numbers to have in mind for building out a small or large cable park. Know and understand these figures before jumping in. The numbers never lie, so if you are “not a numbers guy” or leave that to someone else, get with the program and learn to be involved (unless of course, you are infinitely wealthy, have grandma’s money, or have people that do this for you). There are many considerations and each project is different so these numbers are only to be used as very rough guidelines. Each 2-tower system will end up costing you up to approximately $70,000 to get up and running. 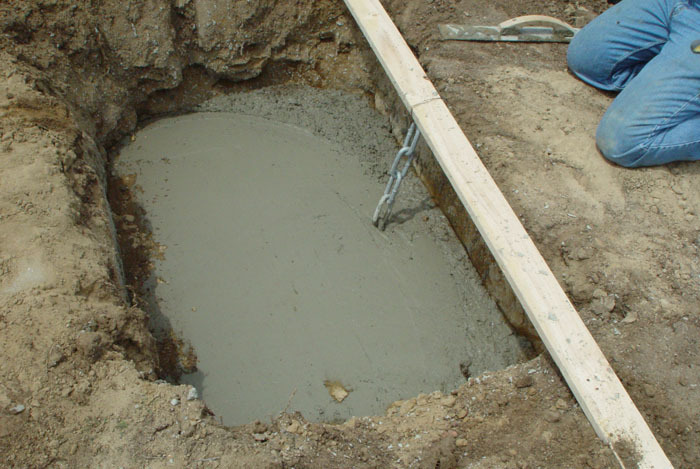 This will get you a 2-tower system ($35,000 to as high as $80,000 depending on the brand), the needed concrete or other anchors ($3000 to $10,000), and the electrical ($10,000 to $50,000) depending on what is needed for your site. 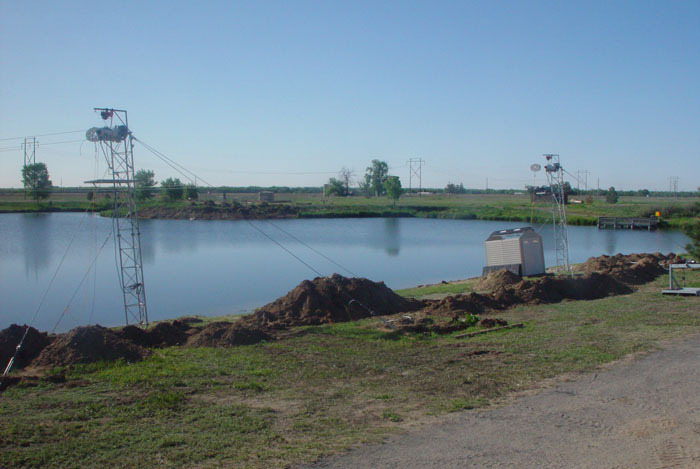 This estimated cost does not include permits, land, docks, water, lake or site prep, features, buildings, improvements, payroll, taxes, rental equipment, insurance, or anything else – just one two-tower cable system that functions. Each 5 or 6-tower (full size) system will end up costing you approximately $400,000 or more. 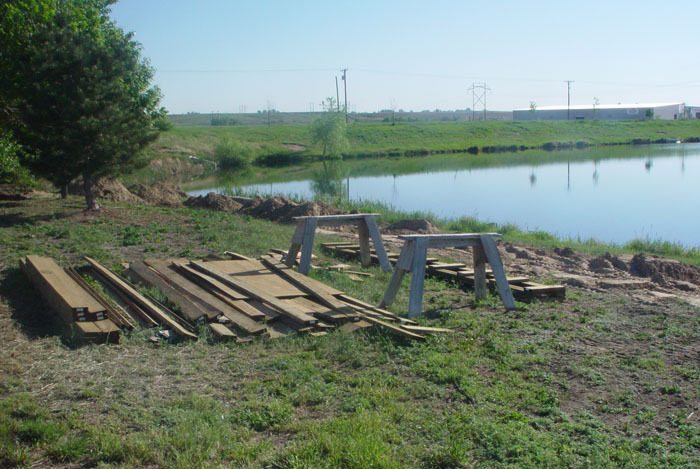 This cost will vary wildly depending on the brand of system used, the land and lake requirements, whether or not there is land or docks around the perimeter of the cable for the walk-back, whether or not you have an island or another water break in the middle and on exposed sides, and whether you need to place towers and anchors in the water or on land. Features (Sliders, Rails, Kickers) can vary wildly in cost, and can cost as much as $250,000 for one single feature that is custom made (no joke). If you build your own, use wood or aluminum (our preference if you build) for your skeleton, are conservative, and learn about plastics and plastic welding, you can reduce and/or offset the costs considerably. A safe estimate is to plan up to 20k per regular sized item, and 40k to 60k for the really cool pools, gaps and other features that the big boys will want to jib on. There are various opinions on what’s better but the basics are a made up of boxes, kickers and inclines (single and double sided), rails (flat, rooftop, rainbows, a-frames), funboxes and transfer boxes (multi level and/or multi directional hits) and a smaller versions of each to learn on. The key words to remember here are variety, versatility, and fun for most.